Fox’s take: “Meet the Beethoven of private pathologists…From executive producer Todd Harthan (“Psych,” “Dominion”), ROSEWOOD is the story of DR. BEAUMONT ROSEWOOD, JR. (Morris Chestnut, “Nurse Jackie,” “The Best Man” franchise), the most brilliant private pathologist in Miami. Using his wildly sophisticated autopsy lab, he performs for-hire autopsies to uncover clues that the Miami PD can’t see. 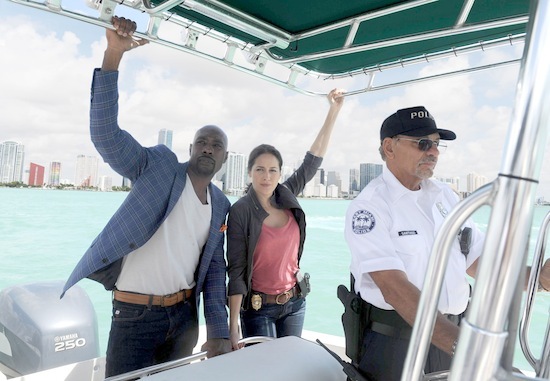 His new partner-in-crime is Detective VILLA (Jaina Lee Ortiz, “The After”), a Miami PD detective with attitude and demons to spare. While she’s impressed by Rosewood’s incredible abilities, his constant optimism is more annoying than it is infectious. But somehow, week-to-week, this unlikely tag team will solve many crimes together. Joining Rosewood in his practice are his sister and “toxicology queen,” PIPPY (Gabrielle Dennis, “The Game”); and DNA specialist TARA MILLY IZIKOFF aka TMI (Anna Konkle, “Man Seeking Woman,” “Betas”), who is Pippy’s fiancée. Plagued with his own set of medical ailments, Rosewood sees that every moment of life should be embraced and lived to the fullest. And those moments of victims’ lives that will never be are what drive him the most. Been there; done that; have the tee-shirt(s).